Commodore C64 Cass. published 31 years ago by Silverbird Soft. 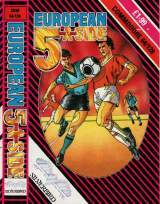 European 5-a-Side © 1988 Silverbird Soft.